This events page includes BayREN hosted events as well as third party hosted events from within the Bay Area Regional Energy Network. To request to have an event posted here, please email codes@bayren.com. The views expressed in the following presentations are those of the authors and do not necessarily reflect the position of the Association of Bay Area Governments, the Bay Area Regional Energy Network or the jurisdictions that BayREN represents. Any questions pertaining to the views and information within the presentations should be directed to the respective author(s). This webinar will provide an overview and demonstration of the ePermit Tool, as well as information on how you can get a customized version of the tool for your jurisdiction. One of the most powerful tools local governments have to reduce energy use and greenhouse gas emissions is local energy reach codes. 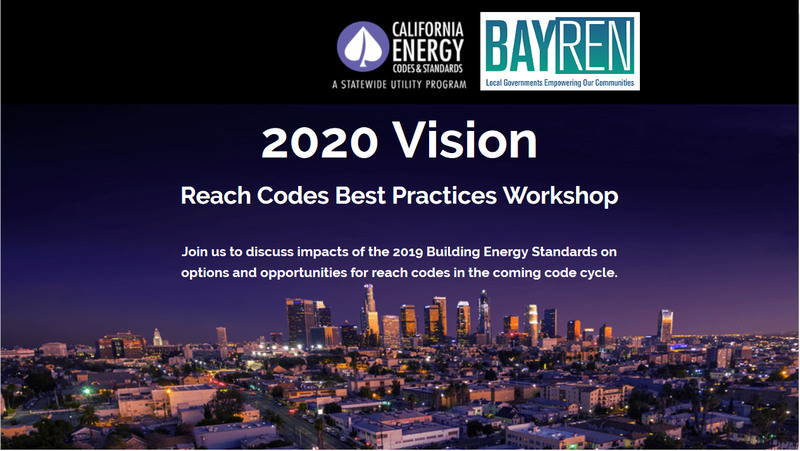 This half-day event will provide information on reach codes, including state requirements, timing considerations, and types of reach codes possible under California’s 2019 Energy Code. Attendees will also hear the initial results of studies that identify cost-effective measures local governments could require for new construction projects. In addition to technical experts, this Forum will include local government staff who have direct experience with local reach codes in a panel discussion to share lessons learned, with a focus on stakeholder engagement and other early steps of reach code development. Participants will also have the opportunity to meet and share ideas with staff from other nearby jurisdictions. 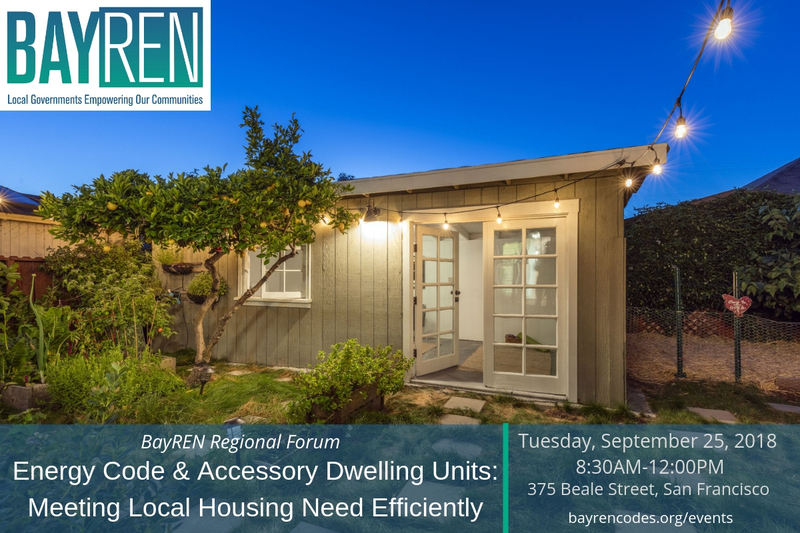 This free BayREN Forum is open to all and will be co-sponsored with the Statewide Investor Owned Utilities Codes & Standards Team. At the Global Climate Action Summit in September 2018, governments from around the region, state, and world issued commitments to carbon neutrality by 2050 or earlier. What implications does this have for the built environment, existing energy efficiency goals, and local building codes? The final BayREN forum of 2018 examined the definition of “zero net carbon,” (ZNC) as well as how local governments can set policies for efficiency in energy and material use to achieve a ZNC built environment. The forum covered growing considerations in efficient design, energy use, and retrofits, enabling cities to go beyond incremental energy savings to achieve bold carbon neutrality targets. It introduced concepts of lifecycle carbon emissions from both operational and embodied energy usage, the importance of addressing materials in order to achieve the immediate emission reductions that are necessary, and local government policy tools. This forum presented several new strategies and tools for energy code compliance. Presentation included a broad perspective of common energy code compliance challenges faced by local governments, followed by case studies and information on several innovative approaches, including electronic tools for residential and commercial projects and in-person assistance for local governments. Energy Code Compliance: The Broader Perspective | Brian Selby, Principal, Selby Energy Inc.
Leveraging the HERS Registry | Roy Eads, Senior Technical Manager, CalCERTS, Inc. The first Regional Forum for 2018 "Increasing Reliability and Resiliency with Microgrids: How to Implement from Design to Interconnection" was held in San Francisco on March 27. 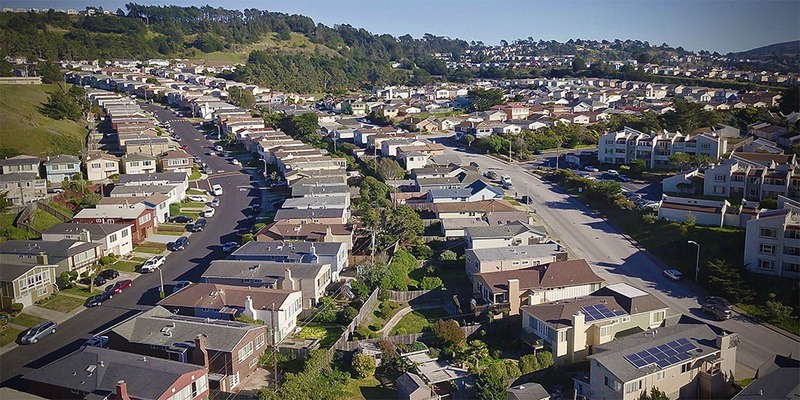 Microgrids are localized grids that have the potential to improve reliability and resiliency of the grid, offer a backup energy solution for communities during grid outages, and contribute to achieving California’s clean energy future. This forum aimed to help local governments, utilities and the private sector understand the benefits of microgrids, what to expect when planning a microgrid and how to navigate some of the complexities of creating a feasible design model. Presentations included an update on the State’s microgrid roadmap, project case studies and resources available to support the design process. To learn more about the PEER standard, go to peer.gbci.org. For specific technical questions, please contact Jamie State at jstatter@usgbc.org. Here are some examples of projects from the PEER v2 launch this week. Association of Bay Area Governments Resilience Program, Energy Planning: Implementing Microgrids as a Resilience Strategy was held September 28, 2017. Additional resources, including agenda, workshop presentations, and webinar recordings can be found here. The last Regional Forum for 2017 "Matching Supply with Demand: Preparing Local Governments for the Rise of Renewables and Its Impact on the Grid" was held in San Francisco on October 24. The uptake of solar PV is becoming one of the most disruptive influences on the electricity grid. With the impending adoption of the 2019 Building Standards and with many local governments now implementing ordinances that mandate solar PV on new residential construction, this forum aimed to help local governments and the private sector understand the implications on the grid, and discuss how they can advance strategies at the local level to help stabilize the grid and mitigate integration impacts. 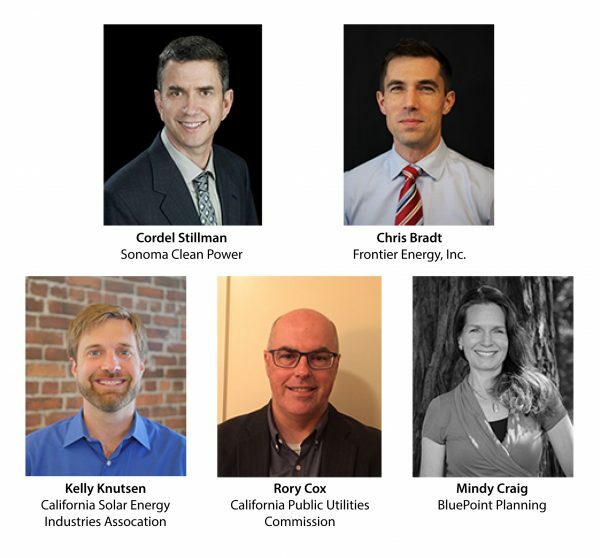 California Energy Code and the Grid - Navigating the Political Landscape | Chris Bradt, Frontier Energy, Inc.
Panel Session: How can Local Governments Prepare for the Rise of Renewables and its Impact on the Grid? Chris Bradt, Senior Program Manager, Frontier Energy, Inc. Many local governments are setting and meeting ambitious targets aimed at improving energy efficiency in public buildings while encouraging the private sector to do the same. This forum showcased local case studies on municipal innovation, discussed the needs and trends in the commercial real estate industry, and assessed how stakeholders can help exchange knowledge between industry sectors. Representatives from the City of Richmond and the Building Owners and Managers Association (BOMA), along with PG&E and consultants from DNV-GL formed a panel session to discuss municipal innovation, commercial building needs, and the nexus between the two. The second quarterly Bay Area Regional Energy Network (BayREN) Regional Forum, properly titled Local Mandatory Solar Ordinance as a Pathway for New Residential Zero Net Energy (ZNE) Construction, focused on informing local governments about the California Energy Commission’s (CEC) mandatory solar ordinance model and approval process. Over 70 people from building, energy and local government communities, including a legislative aide with the County of San Mateo Board of Supervisors, attended the event either in person or online which featured panel discussions and presentations from city managers and climate and energy experts. The focus of this workshop was to help local governments address misconceptions and questions about 2016 Title 24, Part 6 (Energy Code) implications for designing new, or applying deep energy retrofits for, all-electric low-residential buildings, which are expected to increase as local governments work to integrate state goals to achieve zero net energy (ZNE) buildings. ZNE: Efficient HVAC and Domestic Hot Water (DHW) Systems and Strategies (PDF download) | Russ King, Benningfield Group, Inc.
Join us for a two hour presentation aimed at supporting local governments working to integrate state goals to achieve zero net energy buildings (ZNE). Attendees will hear case studies on ZNE buildings, learn about new programs and tools to support local government including ZNE policy and plan development, as well as new research and emerging trends. Ralph DiNola, Chief Executive Officer of New Buildings Institute will be on hand to answer your questions and share resources to help attendees build knowledge on ZNE design and operation strategies, effective policies and codes, planning approaches, and how to support advancement of zero energy buildings. 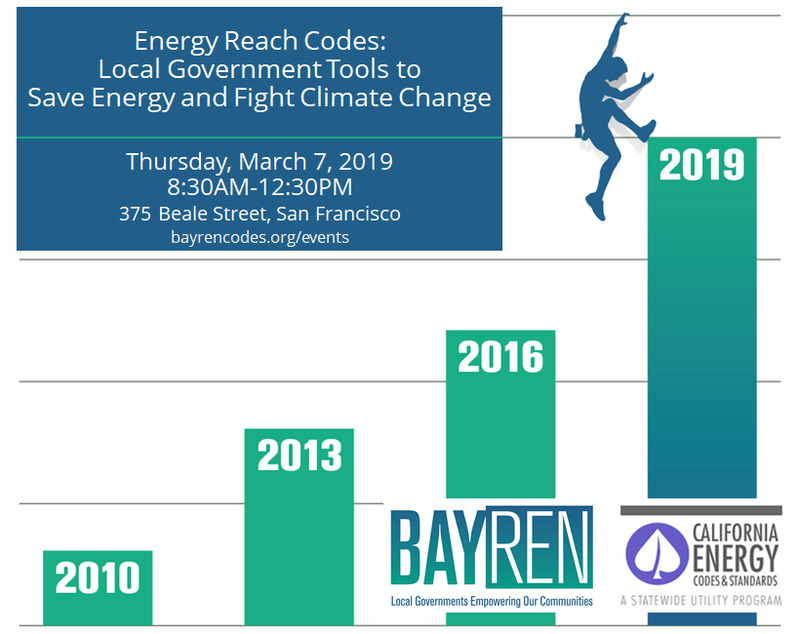 BayREN in partnership with the Sonoma County Regional Climate Protection Authority invite you to join us for this free event for local governments. Who should attend: City and county government officials, architects, engineers, building owners, planners, project managers, others interested in zero net energy. RSVP: Please RSVP to Carolyn Glanton at Carolyn.glanton@rcpa.ca.gov or (707)565-5361. This Forum brought together local government policymakers, building department staff, architects and energy consultants working to integrate state goals to achieve zero net energy (ZNE) buildings. Attendees heard about case studies on ZNE buildings, new programs and tools to support local government ZNE policy and plan development, as well as new research and emerging trends. Following the forum, attendees were invited to tour a ZNE building and find out more about the ZNE design process from the building architect. This Forum brought together local government policymakers and sustainability staff, building department staff, city planners, and energy consultants to learn about the changes to the 2016 CALGreen requirements for residential buildings. Attendees were able to meet their BayREN County Representative and connect with energy code experts who shared best practices to increase understanding of 2016 CALGreen requirements and how local projects are going beyond CALGreen. This Forum brought together local government policymakers and sustainability staff, building department staff, city planners, and energy consultants to learn about the changes to the 2016 building Energy Efficiency Standards for residential and nonresidential buildings. Attendees were able to meet their BayREN County Representative and connect with energy code experts who shared best practices to increase understanding of 2016 Energy Code developments and best practices for compliance (permit applicants) and enforcement (building departments). Effects of the 2016 Energy Code Changes on Bay Area Building Departments| Russ King | Benningfield Group, Inc. This Forum brought together local government policymakers and sustainability staff, building department staff, city planners, and energy consultants to learn about the the variety of free programs and customizable resources available to building departments interested in implementing best practices for improving energy code compliance and enforcement and/or promoting green building and "beyond code" initiatives, sometimes called "reach codes". Attendees were able to meet their BayREN County Representative, learn about implementing cost-effective green building codes, Home Energy Score and the READ Program. This Forum brought together Building industry professionals, including building department officials, architects, and contractors to learn about exciting electronic tools and resources developed to assist with energy code related responsibilities. 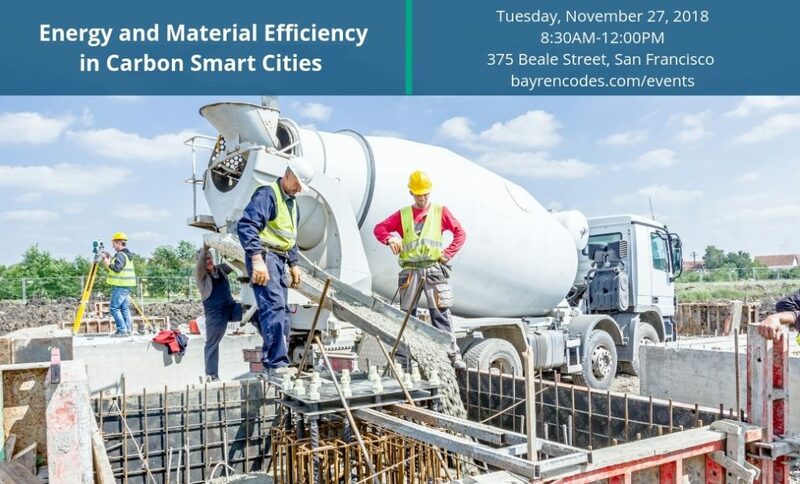 This forum included dynamic breakout discussions facilitated by building industry professionals to develop strategies and best practices to promote greater uniformity in code interpretation in building departments throughout the Bay Area. This Forum brought together department staff, contractors and other building industry peers to share location-specific challenges and solutions stemming from inconsistent and confusing interpretations of the Energy Code. This forum included dynamic breakout discussions facilitated by building industry professionals to develop strategies and best practices to promote greater uniformity in code interpretation in building departments throughout the Bay Area. This Forum brought together department officials, contractors, architects, policy makers and energy consultants to engage with California Energy Commission staff and other policy implementers on how to improve the energy code development This forum will also included a dynamic breakout discussions facilitated by building industry professionals to develop strategies, resources, and support networks to further enhance collaboration among the various industries responsible for complying and enforcing code. Panelist | Cathy Chappell | TRC, Inc. This Forum brought together local and state government policy leaders, building department personnel, and energy consultants throughout the Bay Area region to share policies and programs influencing small cities. Featured topics included Existing Buildings Energy Efficiency Action Plan (AB 758), the BayREN Codes & Standards Regional Plan Check program, and a shortened version of the training course “Improving Energy Code Compliance in Low-Rise New Construction". Coordinating Plan Check with Field Inspection for Residential New Construction | Russ King | Benningfield Group Inc. This Forum brought together building department personnel, local government policy leaders and energy consultants throughout the Bay Area region to learn about regional and statewide initiatives aimed at addressing energy code enforcement barriers and challenges, and hear the major findings from the Permit Resource Opportunity Program Final Report and Energy Guide (available here). At this Forum, attendees learned valuable tools and resources for implementing critical policies relating to energy efficiency in community design and how to leverage existing policies and apply best practices that support the needs of their communities. Energy Code, Title 24 Part 6 | Russ King | Benningfield Group Inc. This Forum was an opportunity for local building department staff and building professionals to ask California Energy Commission staff about interpretations for enforcement of 2013 Title 24 Part 6 – the California Building Energy Efficiency Standards. The handout below contains the questions and answers on the Energy Code, discussions, and clarifications from this Forum. This Forum brought together government policymakers and sustainability staff, energy and water utility staff, and energy professionals to explore programs and technologies that help consumers reduce their water and water heating use, and how local governments can leverage these programs to help reach their climate action plan goals. Bay Area elected officials and leaders attended this Regional Forum to hear updates about key state priorities and municipal green building programs from Assembly Member Nancy Skinner and CPUC Commissioner Michael Picker.